A Disabled people’s organisation has warned that the proposals for who can stay in the UK after Brexit completely ignores Disabled people and their family carers. “For Disabled EU citizens and carers, the EU-UK deal is a disappointment. Not all Disabled people are able to work, or work enough, and so they sometimes do not meet the criteria for permanent residence. Carers of Disabled people, who care for their (often British) relatives also cannot apply for a permanent residence card because the Home Office does not consider them to be “working”. “The newly proposed settled status is still based on the criteria of exercising the EU treaty rights. (This means) People who want to apply must show they have worked, have been self-employed, have studied or have been self-sufficient for five years. “Disire believes that Disabled people and carers play a vital role in Britain and should not be prevented from getting permanent residence or settled status. Theresa May has promised not to split up families. Disabled people have families too. Disabled people and carers must not be left behind when developing a new status for EU citizens. “Disire is disappointed that the EU-UK deal does not mention of Disabled people and carers or other suppressed groups who cannot and will not fulfil the criteria for the proposed settled status. “We ask the European Union negotiators and the UK government to urgently ensure that any new arrangements regarding the right to stay in the UK for EEA citizens does not discriminate against Disabled people, their families and carers. “Any new arrangements and rights must have Disabled people and their families in mind. That means any new status, rights or arrangements need to have provisions for Disabled people who cannot fulfil the requirements due to their impairment, illness or condition. Do you live in Southmead? 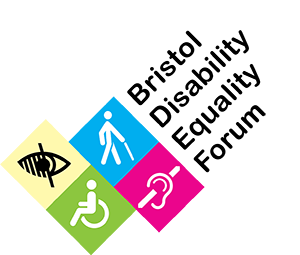 Inclusion Southmead is a friendly group of Disabled and non-Disabled people working together to make local spaces, amenities and groups inclusive and accessible. We are working in partnership with Bristol Disability Equality Forum and The Care Forum, and meet once a month. If you want to have your say, share your ideas, or want to find out more why not join us? Life costs more if you’re a Disabled person – a lot more! Whether buying expensive items of equipment, higher fuel bills, or costly insurance premiums, Disabled people are forced to pay more to live their lives. Scope’s new report, The disability price tag, reveals that on average, Disabled people face extra costs of £570 a month related to their impairment or condition. For one in five, these costs amount to more than £1,000 a month. According to Scope, “Marie is just one of many disabled people faced with this financial penalty. She uses a specially adapted wheelchair which needs replacing, but this would cost her £9,000. Bristol Disability Equality Forum have been raising this issue for several years and welcome this up-to-date evidence.